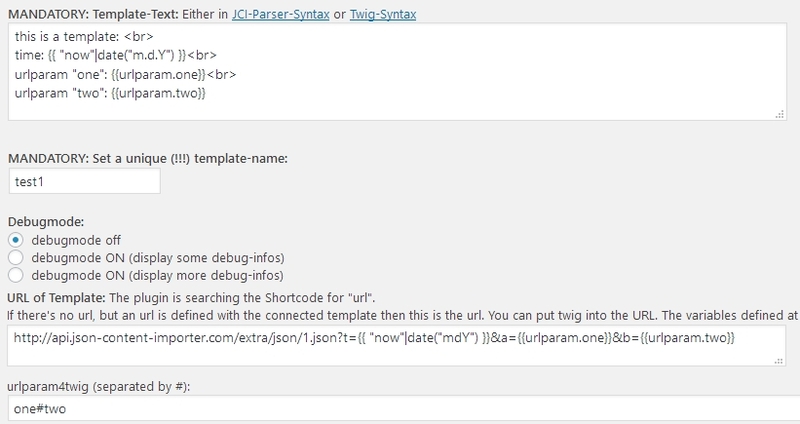 You can define a urlparam4twig-list like “one#two” via the shortcode “urlparam4twig ” or (preferrably) the plugin-template. This gives you the most flexible way to put a dynamic URL together for the API-call. Click here and see the change in the following paragraph. You might change the values for the parameters. In the back the twig code in the URL is executed and the values for “one” and “two” are used.